Russian Film Music portrays some of the most moving and thrilling music. After a seemingly inexhaustible yield of beautiful classical music over the past 300 years, the 20th century has accelerated the widening gap between serious music, usually the term for classical music, and popular music which is usually characterized by relatively shorter scores, simple harmonies and memorable melodies. However, isolated works of serious music have increasingly become “popular music” (so called “crossovers”) through simplification, arrangements and repeated exposure. 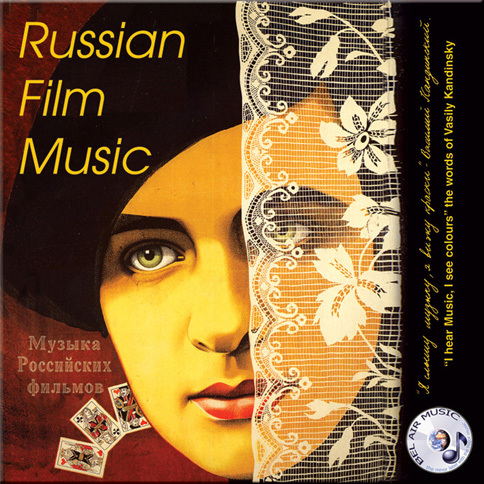 Russian Film Music of the 1930s to the 1980s, with its clear classical roots, has in some ways, bridged the gap, although the music composed for the films produced in the seventies clearly reflect an increasing “crossover” tendency. The very first composer to write original film music was Camille Saint-Saens. In 1908, he wrote a suit for strings, piano and harmonium for the film, L’assassinat de Duc Guise. Similar efforts for composing music for cinema were ongoing in Germany and the USA and in 1928, a German composer, E. Majze, composed music for the Berlin premier of the world-famous Battleship Potemkin by S. Eisenstein. Lenin nationalised the Russian Film industry in 1919 and put it under control of the People’s Commissariat of Enlightenment who demanded the production of films intended to glorify the 1917 Revolution. In 1922, the government created Goskino, the State Cinema Enterprise, which centralized control of the film industry. Goskino was renamed Sovkino in 1926. The first original film music in the USSR was written by Shostakovich in 1929 for the film, New Babylon. In the course of history, one may not be blamed for assuming that V.I. Lenin had an eye for the obvious propaganda value of the 20’s fast developing film industry when he once said: “Cinematography is the most important of all the arts.” We can surely add to Lenin’s quote that music is one of the most important elements in the art of making movies. In the 30s, Russian film music took its first steps towards independence from the films themselves and gradually moved from the decorative, inflexible propaganda role of the 20s into the emotional depth of the characters, awakening compassion and nostalgic feelings in the listeners’ hearts and bringing tears to their eyes. Even though propaganda and censure continued to play a major part in movie production during the “Iron Curtain” period, if one ask any Russian of that generation if he or she enjoyed those Russian movies, the answer would be an enthusiastic “yes”! During that difficult period there was an extraordinary need to be “carried away” - dreaming of wealth and romance- and in this sense, the film music fulfilled its role immaculately. While watching a movie enhanced by today’s exceptionally high quality sound production, it is possible we have come to take the music for granted. We hardly notice the music as though it is a shadow in the background. Yet, its ability to colour silent scenes, bridge pauses in conversation, or create atmospheres of high drama, tension and suspense should never be underestimated. The music is always there, playing a major part in creating the identity of the movie. Many movies are remembered and identified only because of their wonderful music. Although some films are forgotten, the music still lives on independently. We tend to forget that once recorded the music is forever. 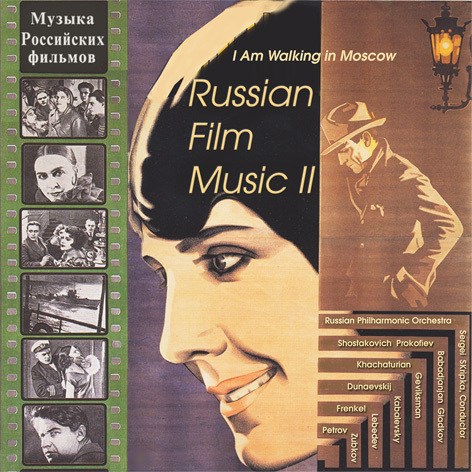 Russian Film Music I and II were released in 2000 and 2003. Recorded with the Russian Philharmonic Orchestra under the baton of Konstantin Krimets (RFM I) and Sergei Skripka (RFM II) the CD’s received 5 star reviews like: “...here are a wonderful collection of Russian Film Music – crisp, first class performances of melodic music in excellent sound. Every one of the tracks is a gem”. ...some of the music is well known but the majority will probably be new to many ears. Of the former, there is Prokofiev's lively and ironic Troika from “Lieutenant Kizae”, and Shostakovich's edgy, grotesque Ball at the Palace from "Hamlet" – and the best performance ever heard of his celebrated Romance from “The Gadfly" – romantic and passionate. One should add here that these are idiosyncratic, but thoroughly authentic-sounding Russian performances”. “Masquerade”, a gorgeously dramatic Waltz and a tender hearted Romance. Less familiar music such as Jan Frenkel’s Pursuit thrillingly melodramatic music from the "New Adventures of the Untouchables” (1968) and Vitaly Geviksman’s A Letter to a Soldier from “The Unknown War”. Meanwhile Viktor Lebedev’s melancholy French Theme from “Go Ahead Marine Guards” (1987) and even more striking is a second cue from the same film Don’t Look Down Your Nose. The title tune by Andrey Petrov is a wonderfully carefree and optimistic lilting theme - one might even say “gay” in the sense of the word at the time I Am Walking In Moscow was made in 1963 - offering love, romance and just a hint of sadness all in 1:38 seconds. Predominantly though the recordings offers a rare insight into the sound of popular Russian cinema. The Russian Philharmonic Orchestra play with great enthusiasm and panache, the sound is very good and rest assured, the conductors Konstantin Krimets and Sergei Skripka knows their film music”. This DVD is showing film clips from the movies for which the music on the CD were originally composed, but synchronized with the digital quality sound tracks recorded by Bel Air Music. A few film clips of films from the thirties were not produced due to inferior quality, so there are 18 film clips on the DVD, but 24 sound tracks on the CD. The album with DVD and CD is available online for downloading individual tracks or the complete album from iTunes Classical store. Welcome to the world of Russian Film Music. 14 Vitaly Geviksmann "A Letter to a Soldier" from "The Unknown War (1978)"